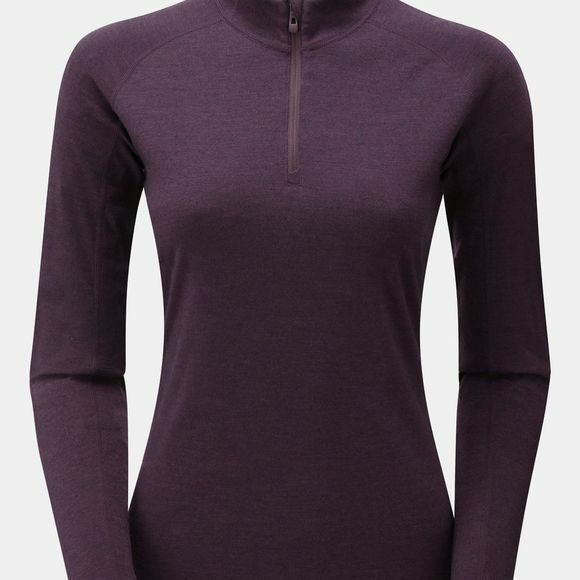 Blending the remarkable properties of Merino wool and Primaloft, the Women's Primino 220 Long Sleeve Zip Neck is designed for active baselayer use in cold conditions. 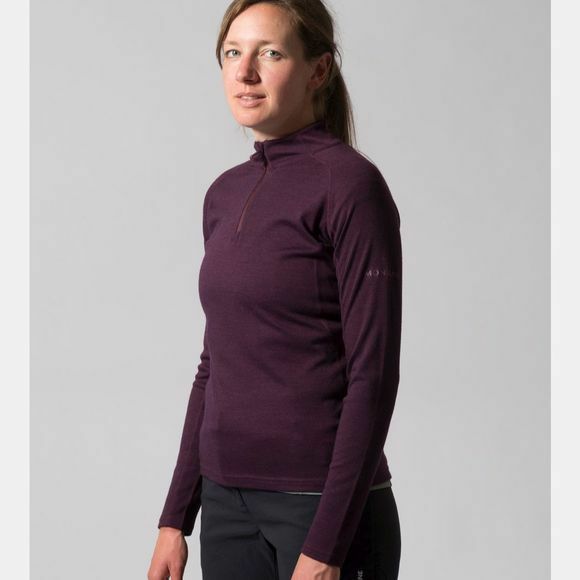 Premium Merino wool draws vapour sweat away from your body whilst high quality Primaloft yarns wick liquid sweat across the outer surface, allowing it to dry quickly. The 220-gram fabric weight is perfect for a range of cold weather activities as part of a layering system or worn alone in spring and summer. Odours are minimised by a Polygiene antibacterial treatment. The deep half-length front zip allows ventilation when you're working hard. Flatlock seams provide a low profile for comfort and ease of layering.